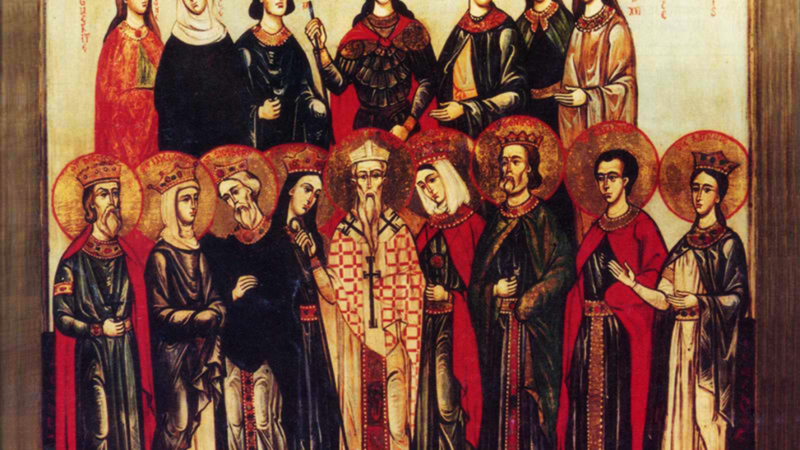 ALEXANDER and COMPANIONS, a friend and colleague of St. Epipodius of Lyons (22nd April). In 178 St. Alexander was arrested during the persecutions under Emperor Marcus Aurelius. Along with thirty-four fellow Christians, he was tortured and executed. AUTHAIRE (OYE), a seventh century courtier at the court of King Dagobert I, and known for his philanthropy. St. Authaire was the father of St. Ouen of Rouen (24th August). He is the patron-saint of the village of La-Ferté-sous-Jouarre in present-day north-central France. BOVA (BEUVE, BOVE) and DODA (DODE), (Seventh Century) St. Bova was a daughter of King Sigebert of Austrasia; and sister of St. Balderic (16th October), the founder of the abbey at Montfaucon-d'Argonne and the convent of St. Peter in Rheims. St. Bova served as the first Abbess of St. Peter’s and was succeeded by St. Doda a niece of SS. Bova and Balderic. DEODATUS (DIÉ), a hermit near Blois in Gaul around whose cell the village of Saint-Dié-des-Vosges grew. There were early religious historians who believed he was the same person as St. Deodatus Bishop of Nevers (19th June) who flourished a little more than a century later. St. Deodatus reposed circa 525. DYFNAN, though reputed to have been a son of the great Welsh chieftain St. Brychan of Brycheiniog (6th April) St. Dyfnan’s name does not appear in either version of the Cognatio de Brychan . St. Dyfnan is the patron of Llanddyfnan, in Anglesey, where, according to tradition, he is buried. We are unable to specify the date of this saint’s repose beyond some point in fifth century. EGBERT, an Englishman, who, like many of his contemporaries, went to Ireland to study. Whilst there he was a primary organiser of the mission to evangelise the German peoples and was instrumental in recruiting SS. Willibrord (7th November), Wigbert (12th April), and others to undertake the mission. Around 716 he went to Iona where he played a key role in persuading the monks to observe the Roman method of calculating the date of Easter (vide Paschal Controversy). 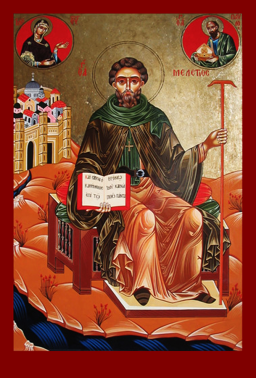 St. Egbert remained at Iona as a hermit until his repose on Easter Sunday 729. The Oxford Dictionary of the Christian Church speculates that his death may have been may have been the impetus for St. Bede the Venerable (25th May) to commence work on his Ecclesiastical History . GREGORY of ELVIRA, a Bishop of Elvira (present-day Grenada Spain), who fought Arianism, and steadfastly refused to compromise with heretics or heresy. St. Gregory reposed in 394. HONORIUS of BRESCIA, a hermit who lived near Brescia in Lombardy who was consecrated Bishop of that city circa 577. St. Honorius reposed circa 586. IVO, (Date Unknown), St. Ivo is believed to have been a bishop from Persia who came to England towards the end of the sixth century to live as a hermit. Unfortunately, there are no records to support this belief. Miracles at his tomb bore witness to his sanctity and his relics were enshrined at Ramsey Abbey. The town of St. Ives in Huntingdonshire takes its name from him. MELLITUS, St. Mellitus was a member of the group sent by Pope St. Gregory the Dialogist (3rd September) sent to England in 601 when St. Augustine (27th May) requested assistance. After three years evangelising in Kent, St. Augustine consecrated him Bishop of the East Saxons, with his See in London. He was soon forced into exile in Gaul for refusing to commune non-believers. His exile was short-lived, and St. Mellitus soon returned to Kent and was chosen to succeed St. Laurence (2nd February) as third Archbishop of Canterbury. St. Mellitus reposed in 624. SABAS and COMPANIONS, an officer of Gothic ancestry, who, along with seventy others in 272, for the crime of visiting imprisoned Christians.